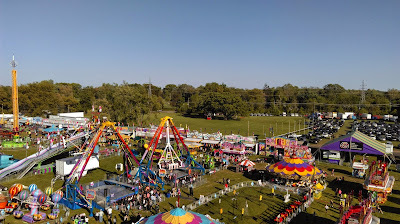 The fair has two tall Ferris wheels, and both our daughters enjoyed the views from the top of one of them. The fair has a lot of options for small kids to ride with parents, and our six-year-old was tall enough to go on several rides alone since the low-end height limit for most of the kids' rides is 42 inches. 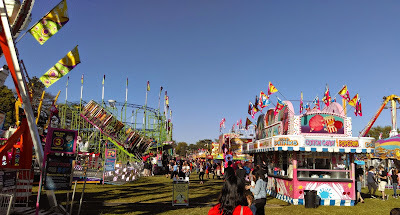 The fair has a great collection of food vendors, from traditional carnival food like elephant ears to local restaurants. The main food tent also sells beer and alcoholic beverages. The most popular food stand sold Polish food, including the Polish Combo Dinner (1 kielbasa, 3 pierogi, stuffed cabbage, bread, a pickle, and sauerkraut) for $10. 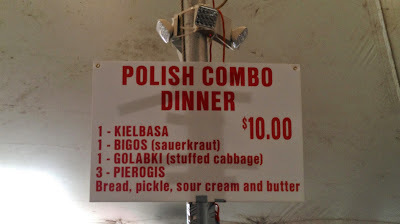 We split two Polish combos during a break from the rides. The school has a long Polish-American tradition, and several vendors sell Polish-themed books, clothing, and pottery, as well as Polish food. 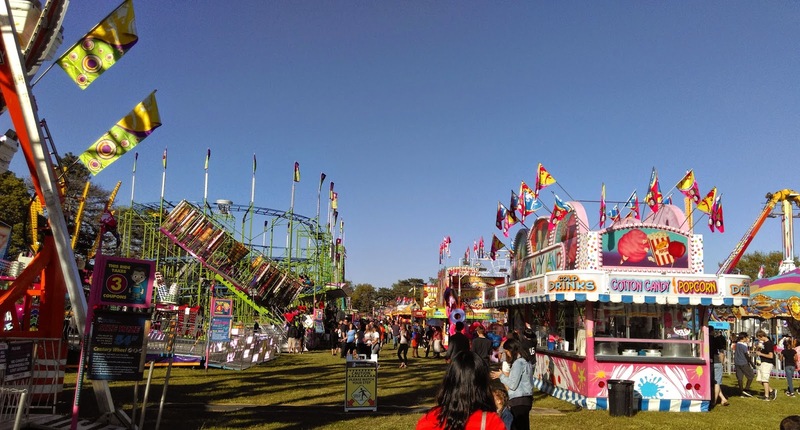 The fair also features a large selection of carnival games, and bands perform throughout the weekend on the main tent's stage. My kids had a great time, and the only way we could convince them to leave quietly was by promising Michigan-made Guernsey ice cream from the main tent on the way out. 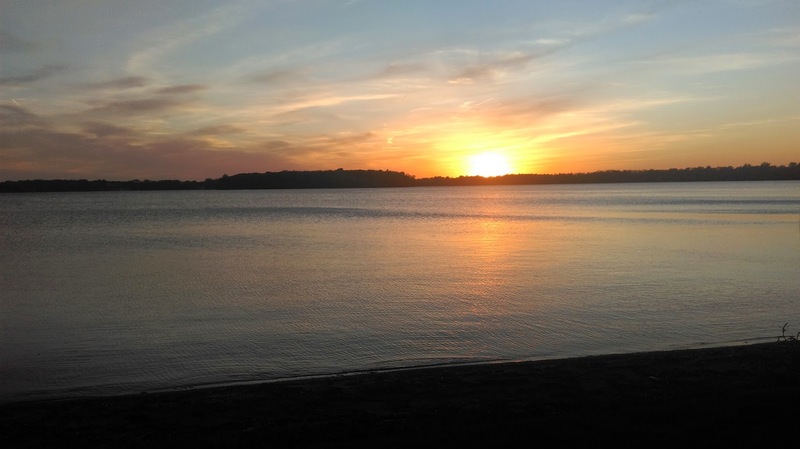 Upon exiting Orchard Lake St. Mary's onto Indian Trail, we were greeted with a calming sunset to conclude our active evening. 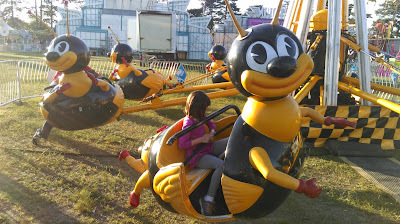 My six-year-old daughter has asked if we can go back next year, but this former fair hater is thinking about going back on Monday. 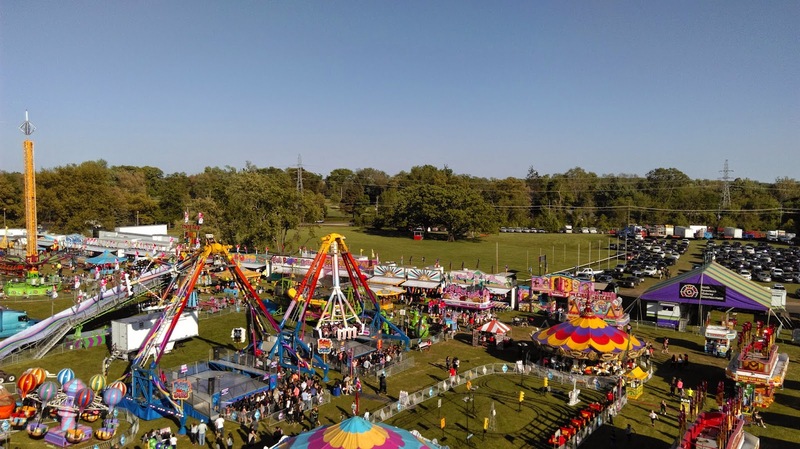 For more information about the Orchard Lake St. Mary's Polish Country fair, please visit its website.